Last weekend the Upper Valley chapter of Muskies Canada hosted an outing in the gorgeous Arnprior area. Over 50 people fished both the head pond of the Madawaska and the Ottawa River on a scorcher of a day. Tough conditions were upon us. Fortunately for me I was out with seasoned musky angler and all around good guy Jonathan Jordan. What a fun time I had watching someone with so much passion work so hard to overcome the odds. Life is all about the thrill of the hunt after. Only 10 fish were caught all day which is an extremely low number for an Ottawa area event. Because of Jonathan’s hard work and detailed knowledge of the treacherous waters on the O both of us were able to land 40-inch muskies. Also very uncharacteristically this would tie us for 3rd largest fish of the day as well. I nominate Bob Syrene as official barbequer for all future MCI events. Pulled pork cooked for 24 hours on a Green Egg. Double Wow. Thanks to Tyler, Parnella and everyone who worked to make your outing such a fun and successful day. 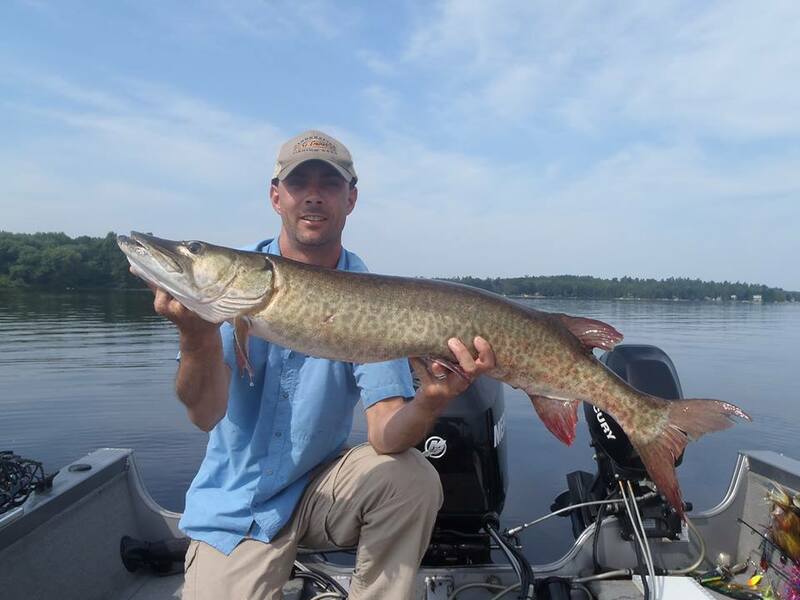 JA — Like The Ottawa River Musky Factory on Facebook!